Meet the Dune Racer’s big brother! Dune Racer XL. 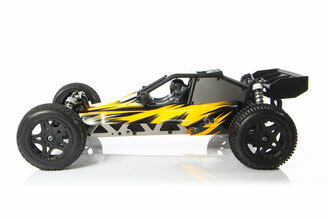 We made a bigger, better, faster and stronger version of the popular Dune Racer 1/12. 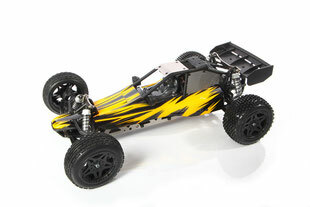 It comes equipped with a powerful brushless power system that can power up to 3S and speeds up to 70-90 kmh. 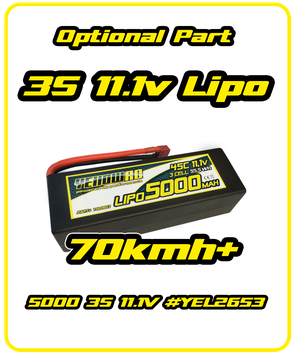 With the supplied high performance 2S battery pack the speeds will be around 45-55 kmh. With a full aluminum frame, aluminum race shocks, gyro, brushless power system and fully equipped with ball bearings, this Dune Racer XL is a serious car that will go a step further in performance. Due to the high speed and weight of the car, we recommend it for more experienced drivers. 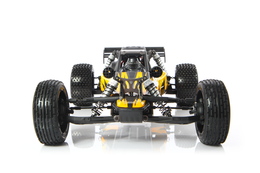 For better handling and easier driving experience the Dune Racer XL comes equipped with a Gyro Stabilising System. 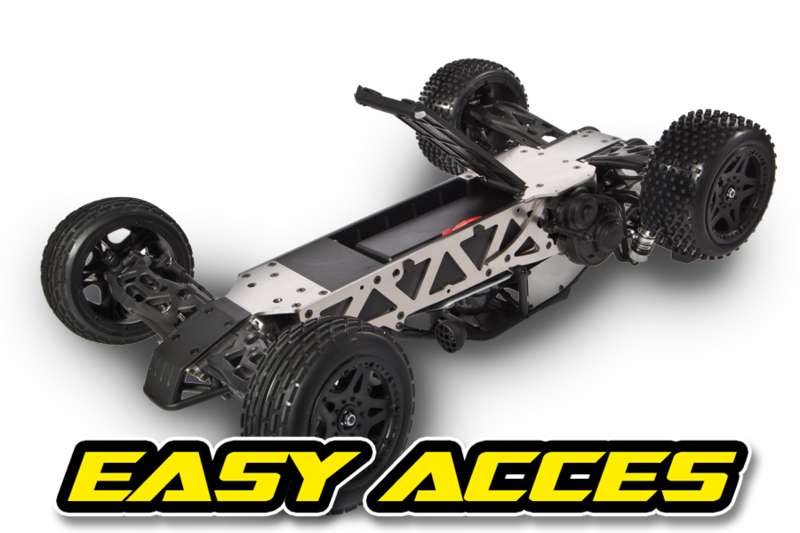 This makes sure the car will be much easier to slide around and make huge power slides even on the most difficult surfaces. The car will auto correct itself when you start losing control. This way you always stay in control and can enjoy more of you rc model. 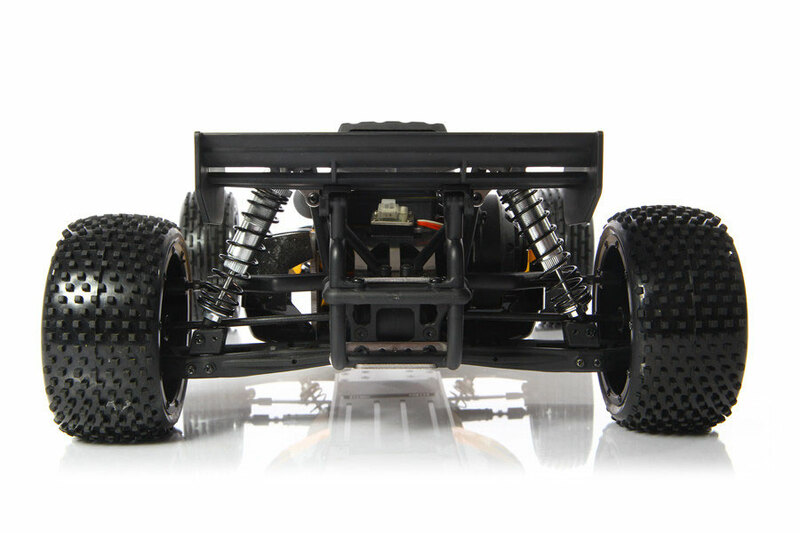 The Dune RACER XL comes with a powerful splash proof power system. It can handle battery voltage up to 11.1V (3S) and speeds up to 70-90kmh with the upgraded 3S battery pack. With the supplied high performance 5000mAh 2S battery pack you can drive up to 10-15 minutes and speeds up to 45-55Kmh depending on the surface you drive on. 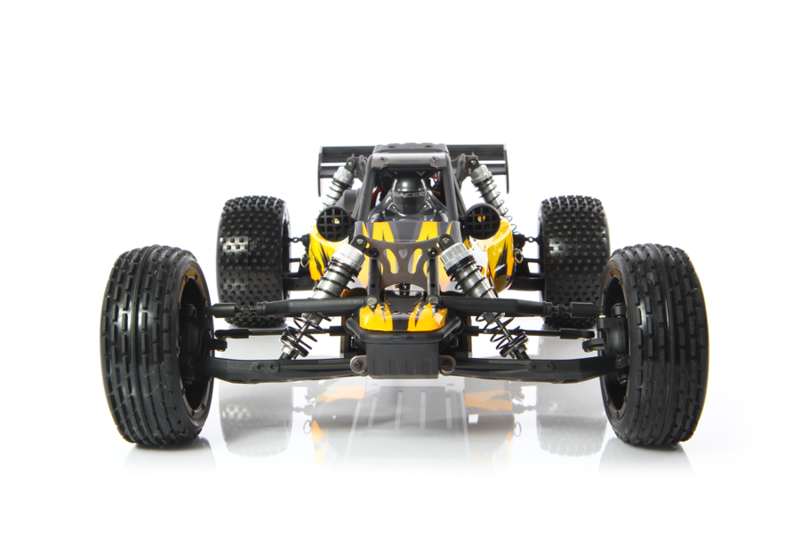 High performance oil filled aluminium shock absorbers come standard on the Dune Racer XL. These are factory tuned for all round driving conditions but they can easily be adjusted to specific driving conditions. The Chassis of the Dune Racer XL is equipped with the Easy Acces System (EAS) for a super easy change of the battery. 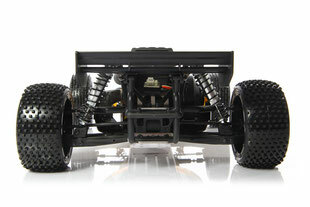 You can leave the body on, just push the clips to the inside to unlock the battery compartment, change the 7.4V or 11.1V LiPo Battery and you are ready to race! 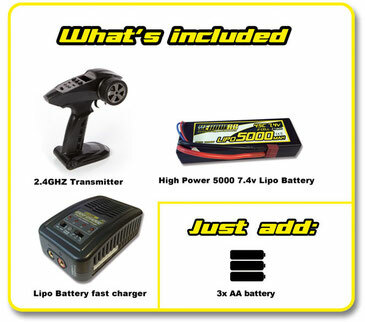 Drive longer and faster with this 5000mah 11.V upgrade pack! 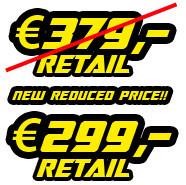 Increase speed up to 70-90kmh!!! 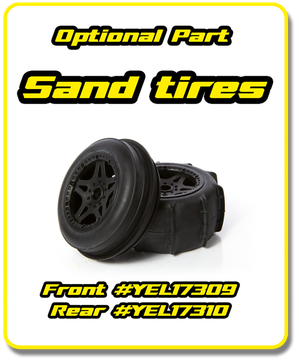 When you driving in loose sand, these option sand tires are a must have! They give all the traction you need!